Chicken is one of the animals that very easy to raise and keep since they also lay eggs that you need the single day. 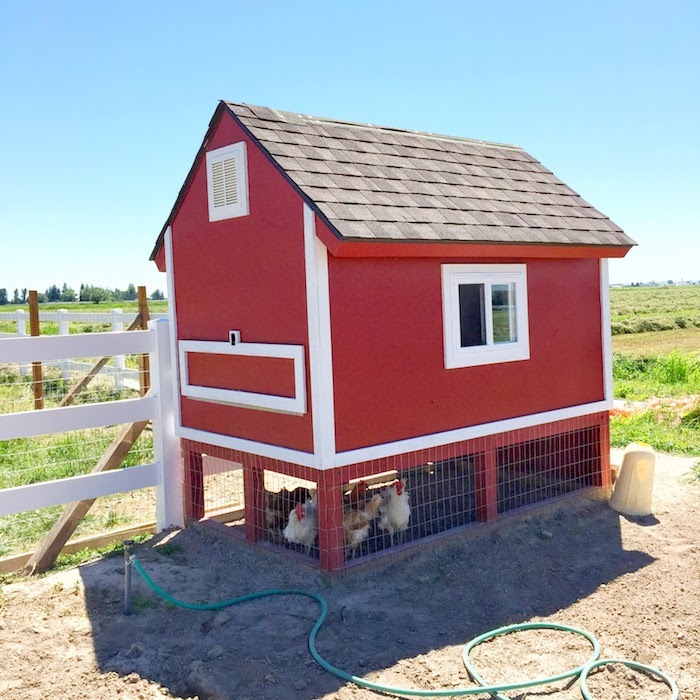 There are so many ways to have the chicken coop that suitable for your garden, you also need to know that buy the chicken coop itself can be expensive so why not just make it yourself? 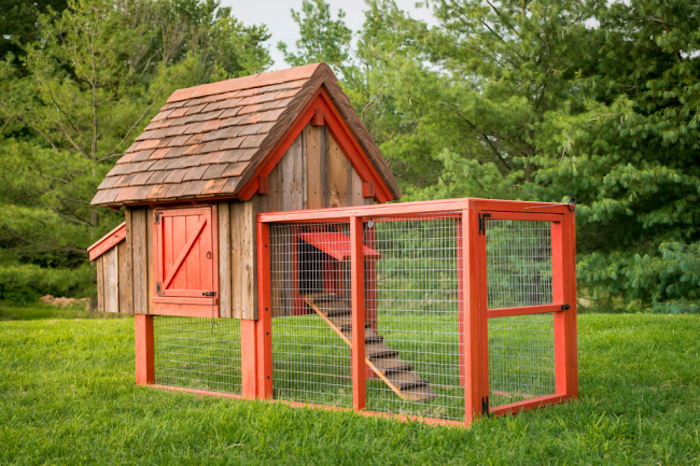 To know more about kinds of the chicken coop for your DIY project, take a look at this list of ideas down below. 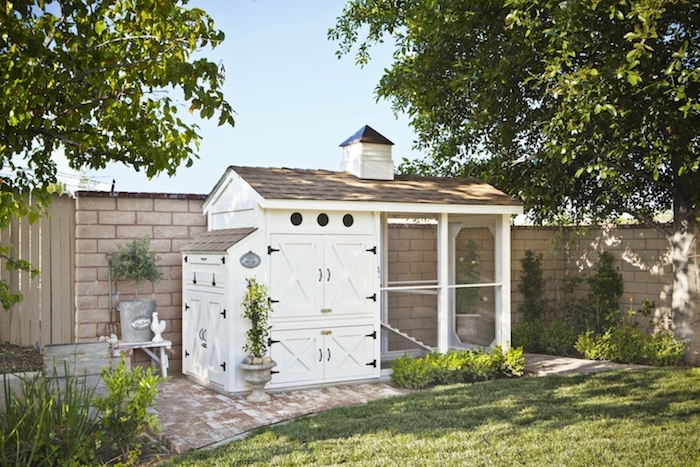 The letter A for chicken coop like this is very easy to make as your DIY project, plus you do not need to buy new materials to build this. 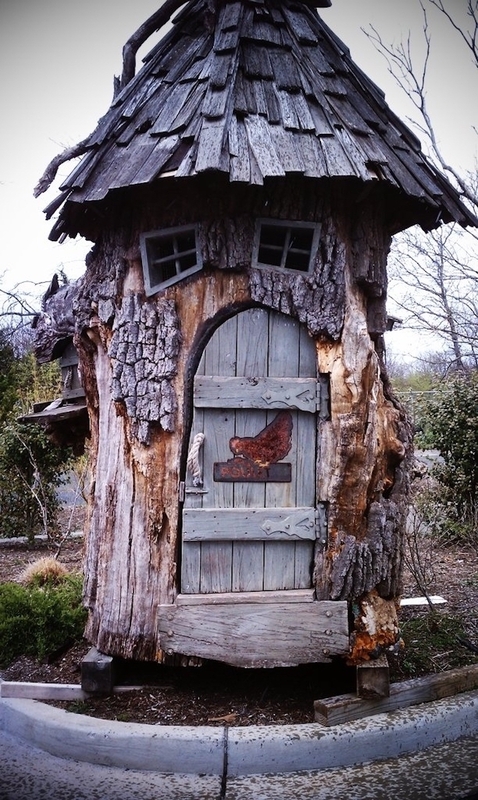 All you need is to recycle the wood that you have in your house and use it as the foundation of your chicken coop. 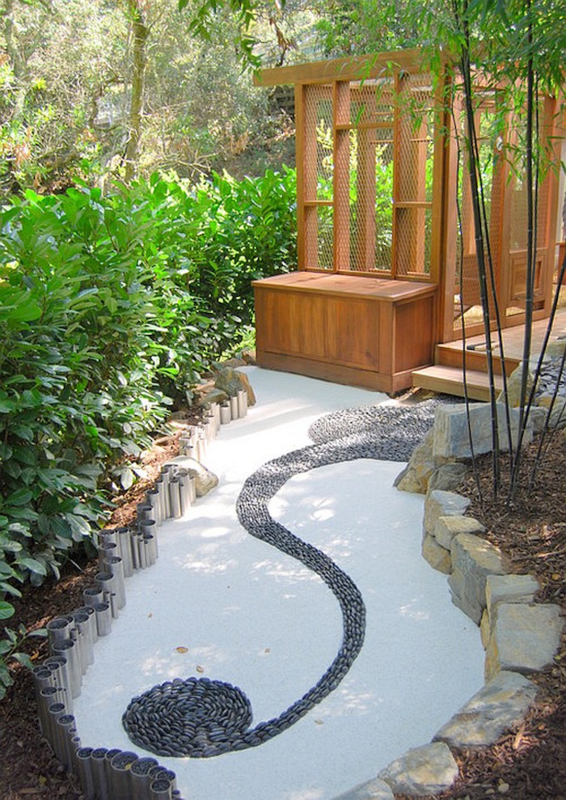 To cover it, you may need the wide chicken wire. 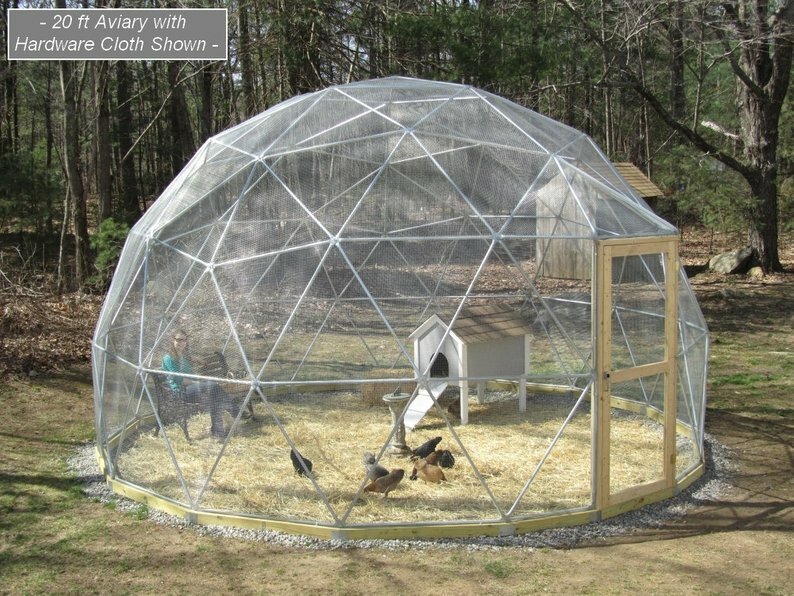 Also, consider making a small roof to make your chicken safe. If you have the unused trampoline or just found a broken trampoline, do not throw it away! You can just take advantage out of it. Use the under trampoline to make it as your own chicken roosting chops. 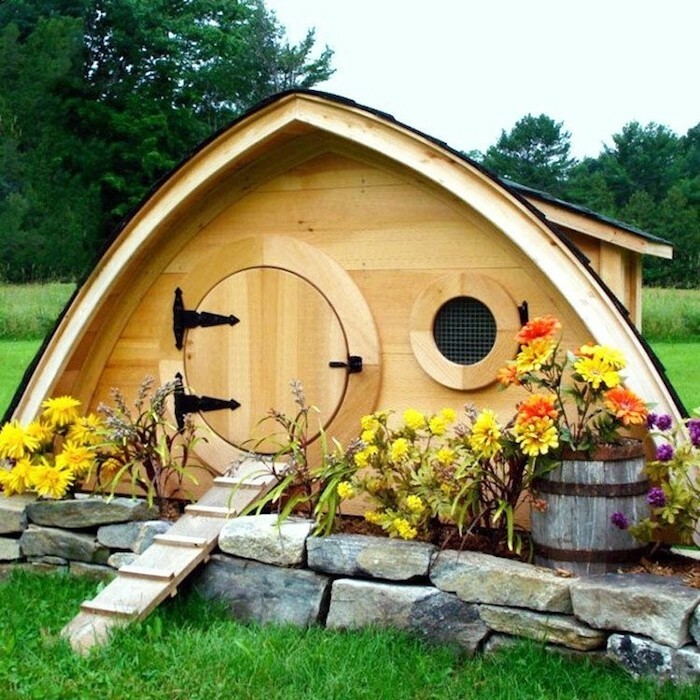 All you need to build a brilliant idea like this is to have a modification, choose cut woods to cover the underparts and build the tiny home to keep the eggs. 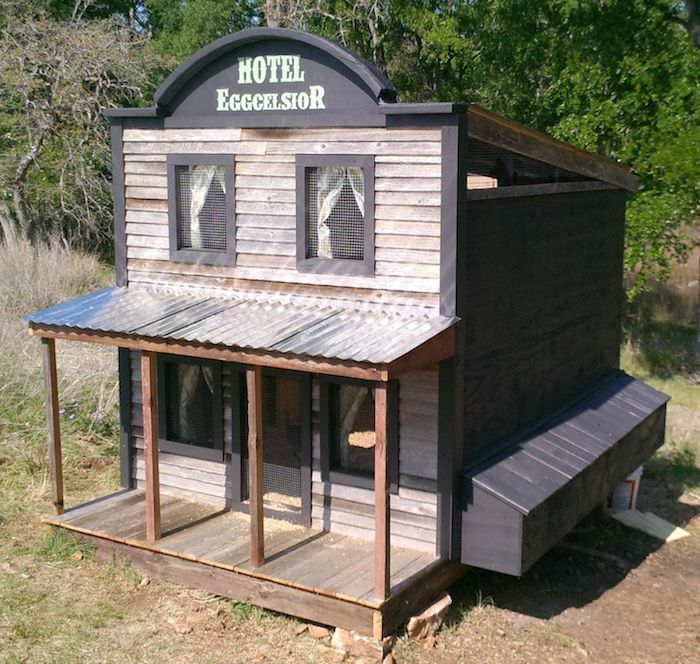 Well, some of the chicken coops may look dirty and hard to build. However, not this one. 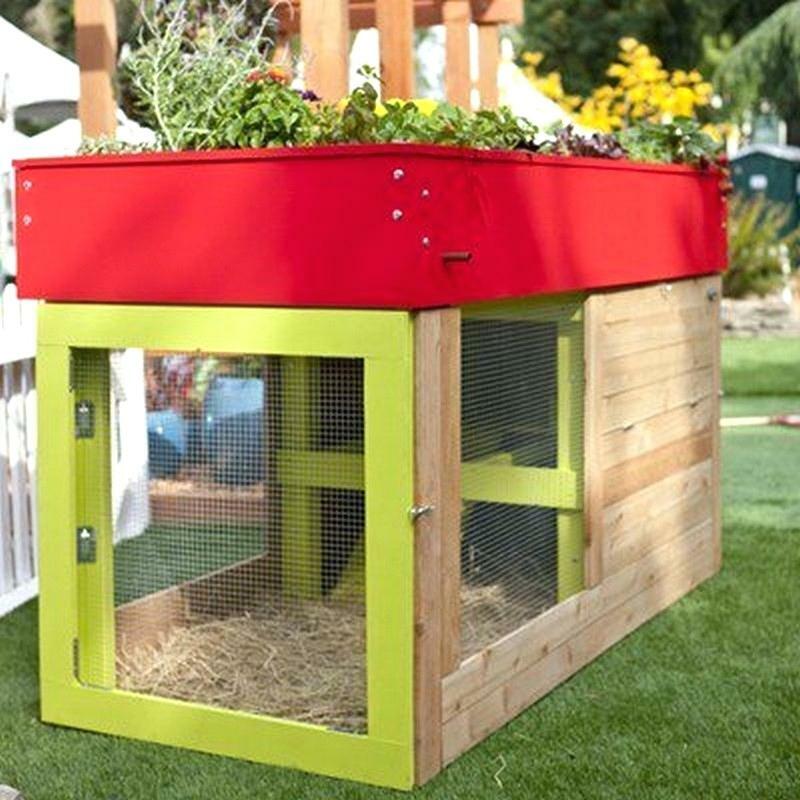 If you have a small garden space, the simple chicken coops like this are very suitable for it and not only that the shape of it can help the chicken to have a warm place in the winter! 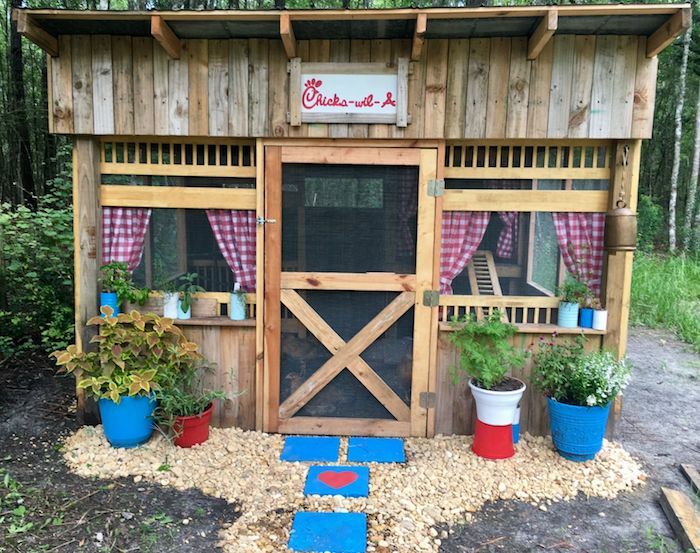 Another inexpensive DIY project for your chicken home! Just use any metal drum that appropriates for your chicken place. The second metal drum can also be used for this too. 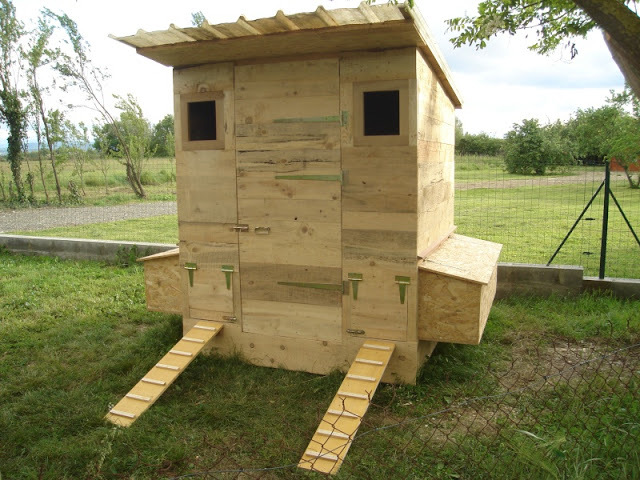 To make the chicken coops, you need to cut wood to cover the hole. 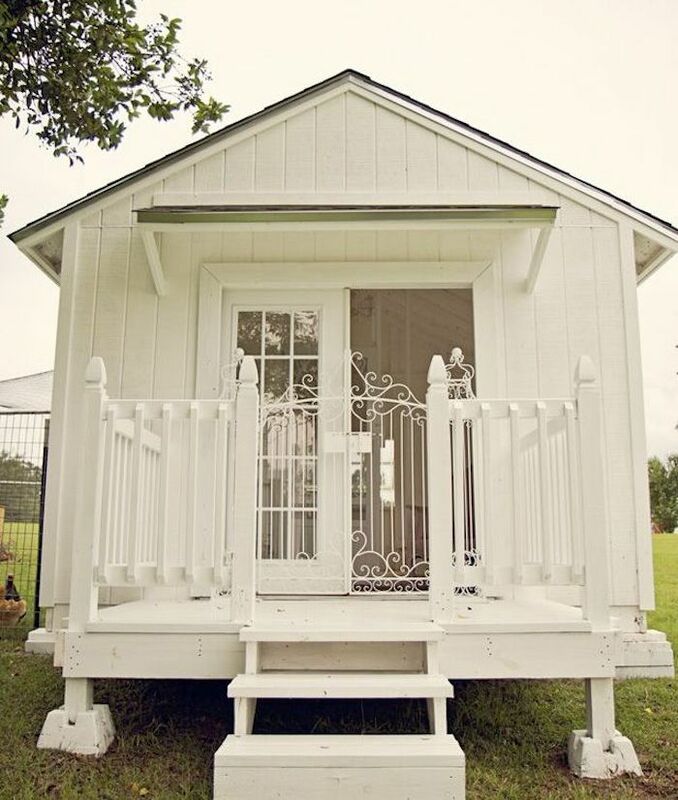 You may also need the door for the chicken and the food storage in the front. 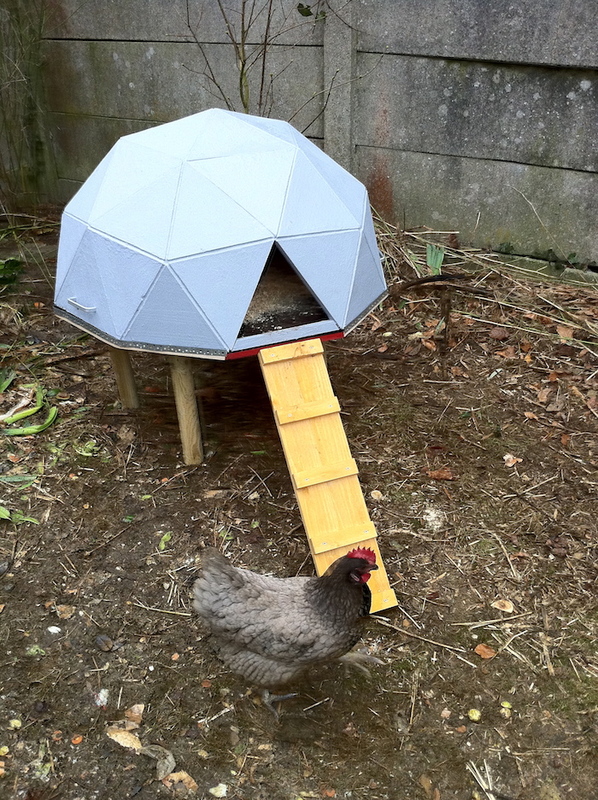 The unique minimalist shape of geodesic for the chicken coop is also a good idea! 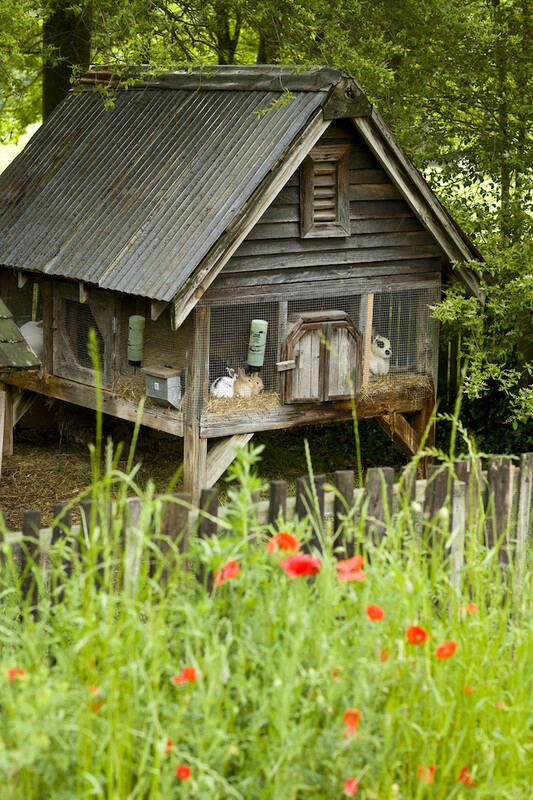 If you have a spacious area, the chicken coop like this is great for you. 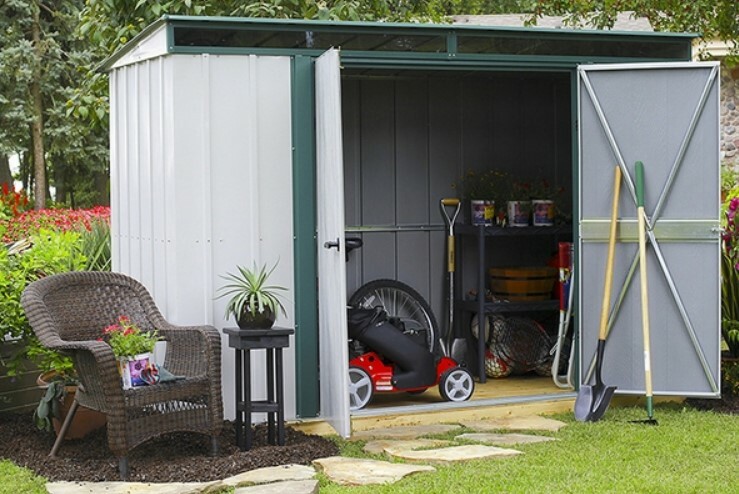 The big space like this is very helpful for you to get in and clean the litter or to feed your chicken. 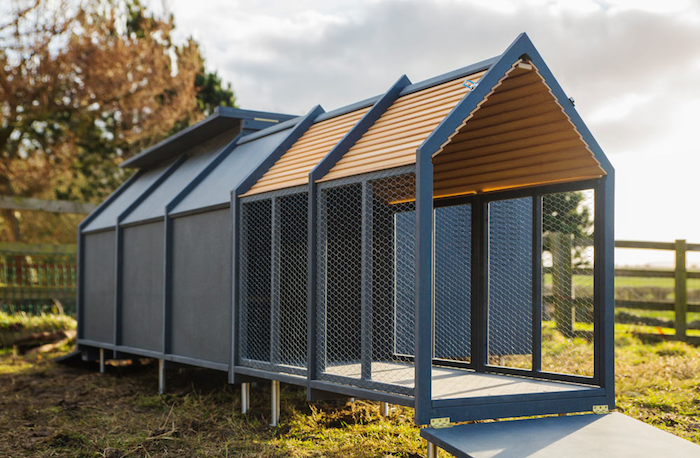 If you live in a dry place, this chicken coop is suitable for your place. 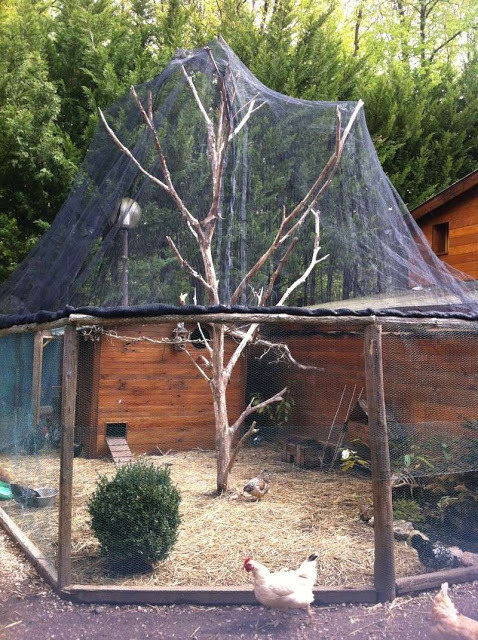 Although the chicken wire is very popular for the chicken coop, the nets that have softer material like this is also very useful as chicken coops. All you need is cut woods, the wide nets, and dry tree in the middle to support the nets and the cut wood. 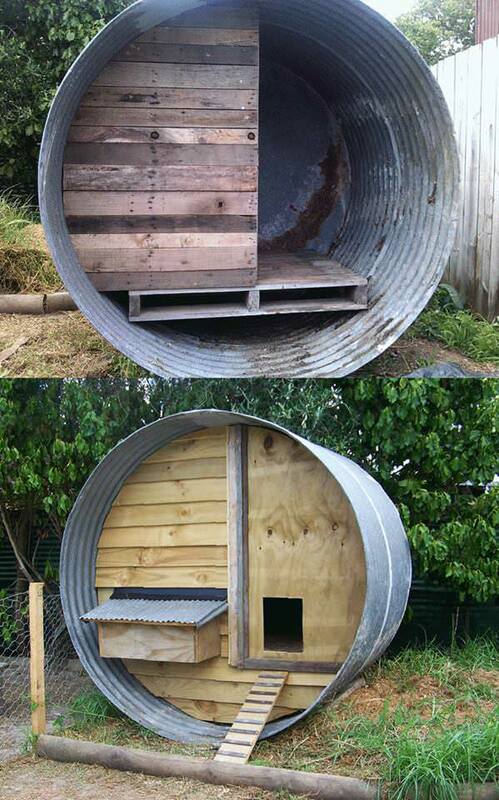 The simple DIY like this can fit many chickens you have! 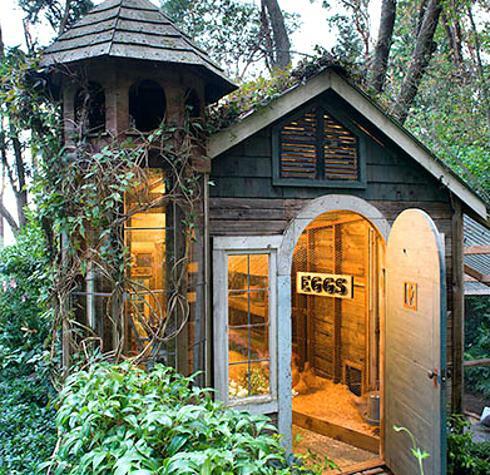 You do not need to spend your money on an adorable chicken coop that can also be used as decoration in your garden. 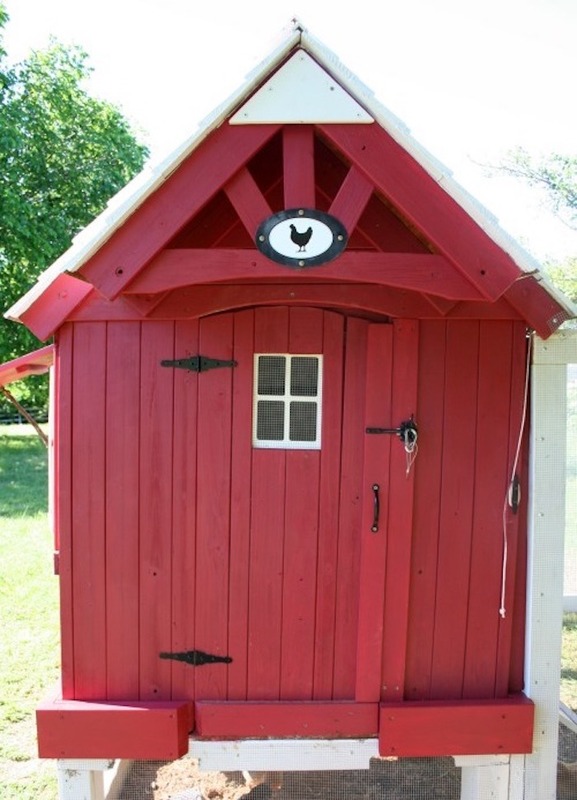 You can make this adorable chicken coop by yourself! 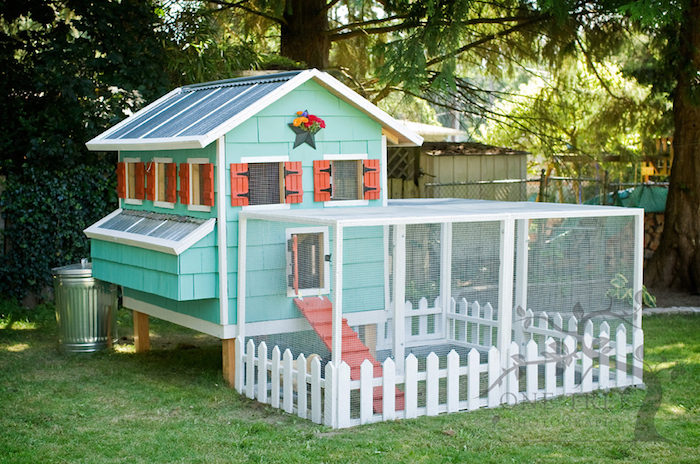 To have the adorable chicken coop you only need to paint it with vibrant colours. 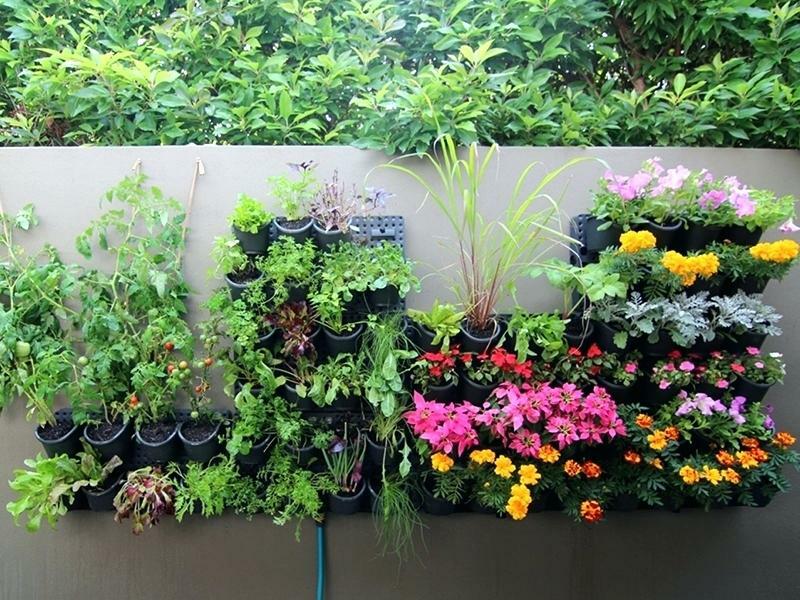 Also, planting on the top of the chicken coop is also a good idea. 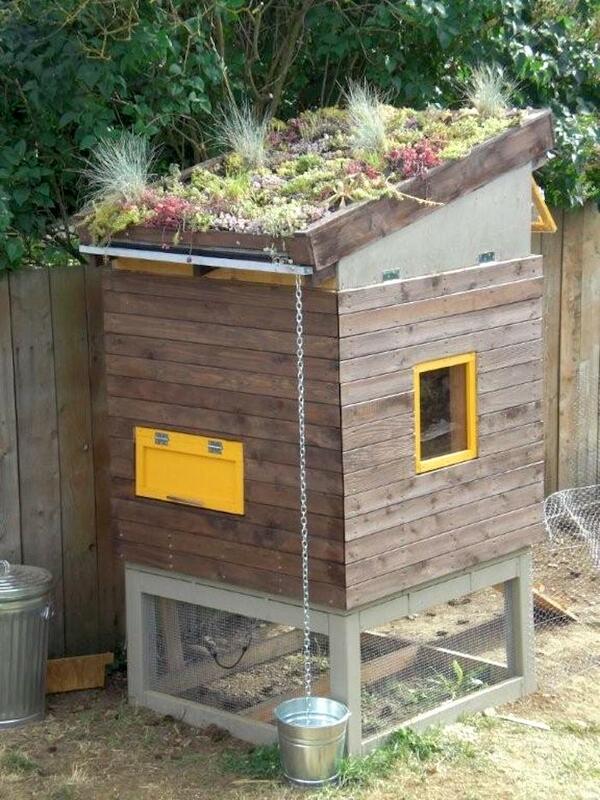 Instead of buying the storage for your little plants, why not have cute storage on top of your chicken coop as the decoration as well? 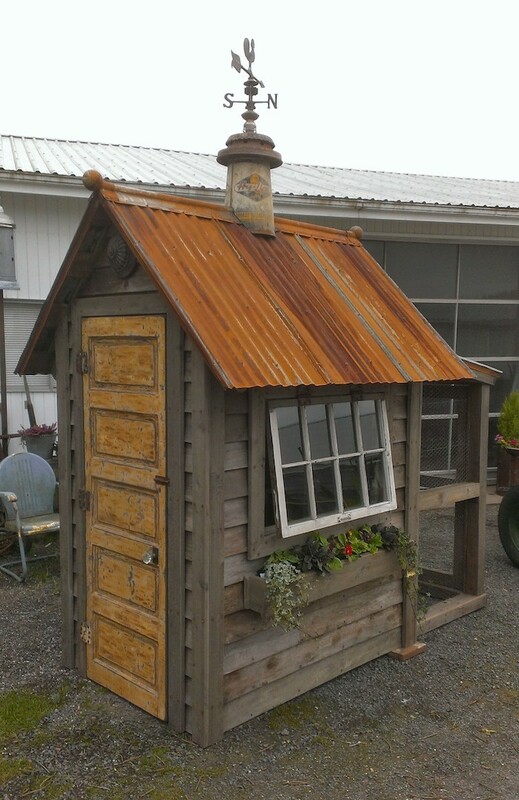 Another idea for your adorable chicken coop is this! 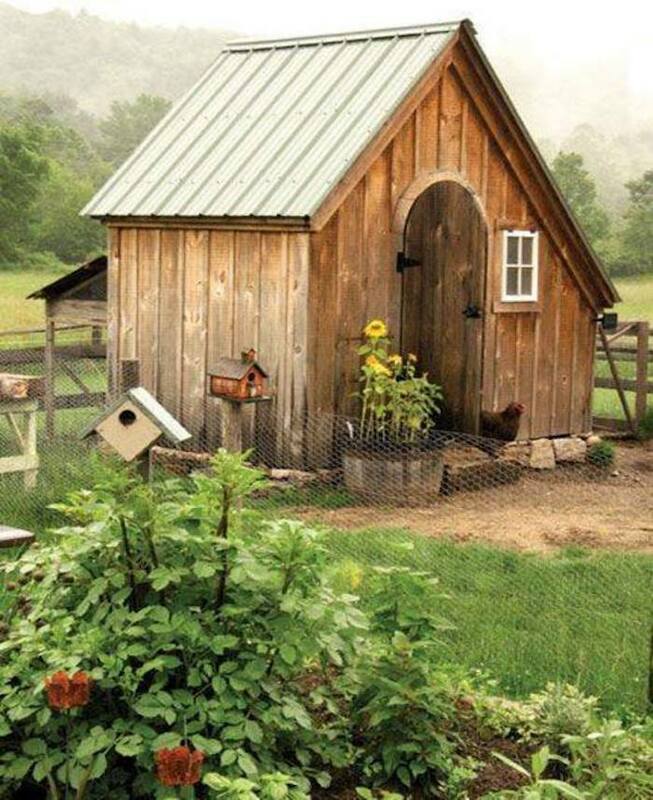 The idea of the chicken coop that has farmhouse style like this is really cute for your garden. 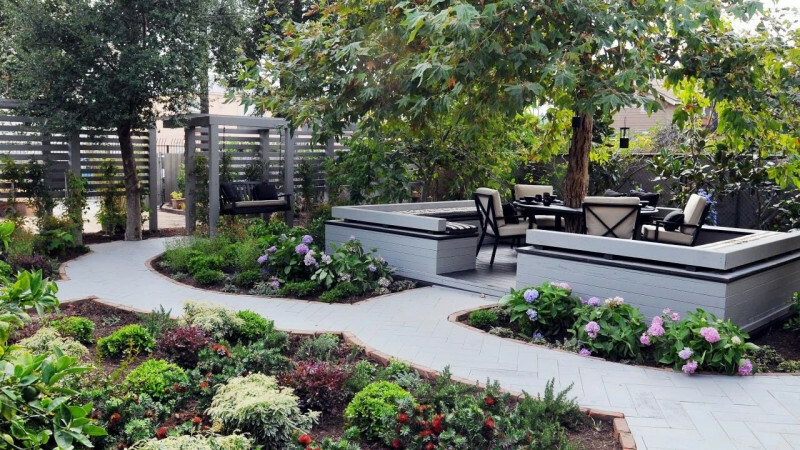 Plus, they are easy to build as your DIY project as well. 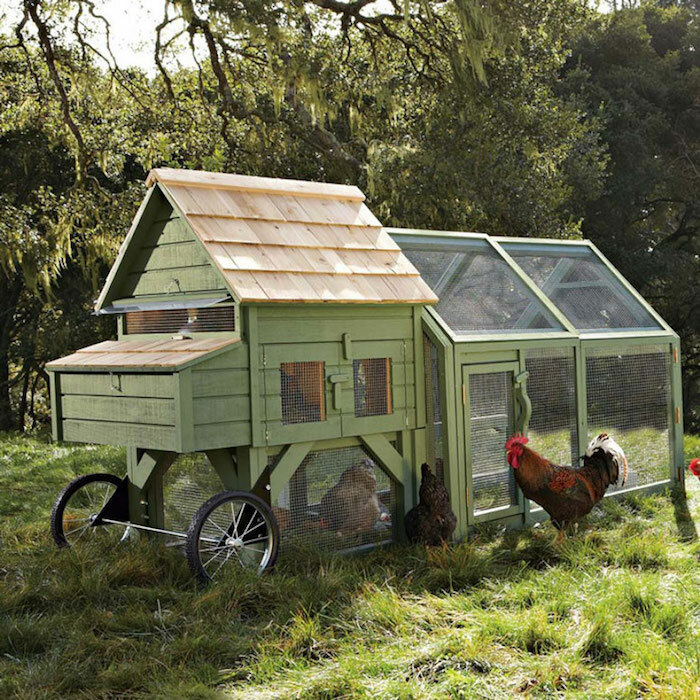 It is a point plus to have a chicken coop with the wheels because you can just move it easily! 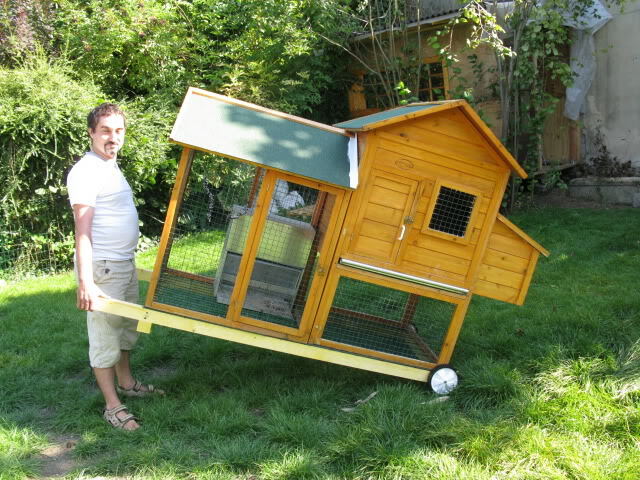 Try to put the wheels on the chicken house like this since your chicken coop can be so heavy to lift up by yourself! 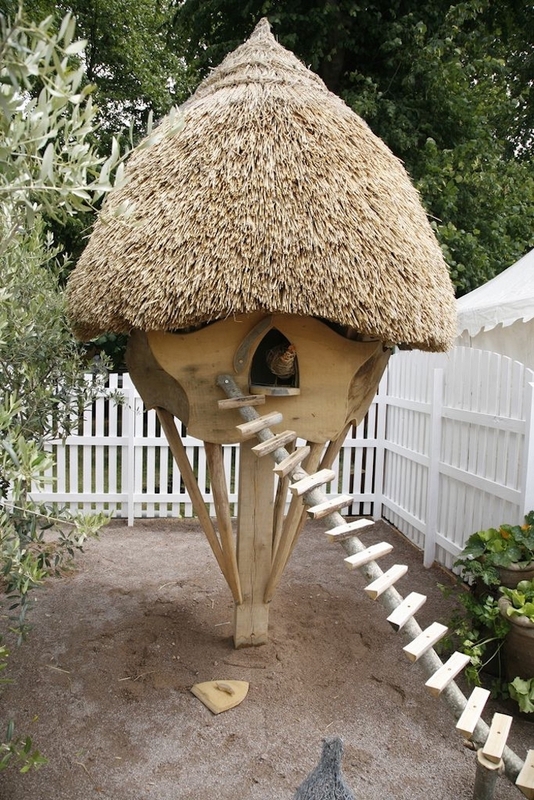 If you have a mini old house in your garden, you can turn them into chicken coops! 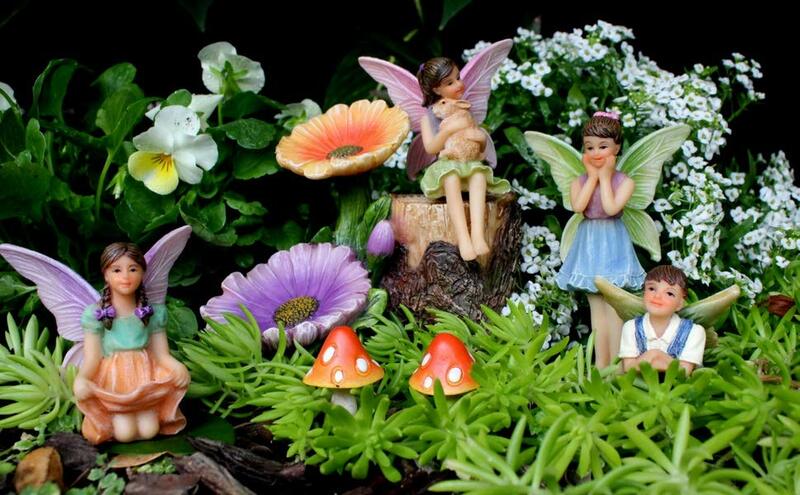 The idea is very clever and adorable. 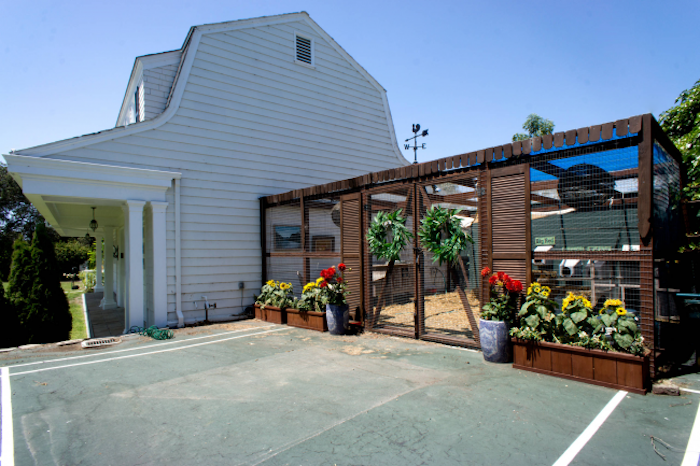 It is literally a vintage house for your chicken coop that almost looks like your second house but filled with chicken! 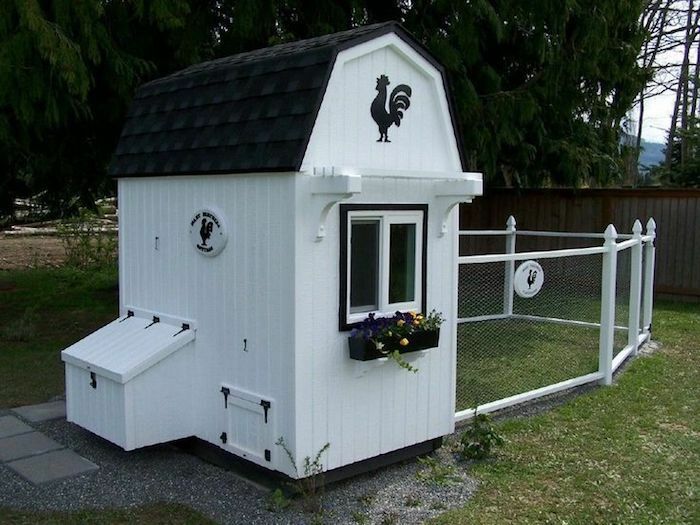 Another adorable type of chicken coop! 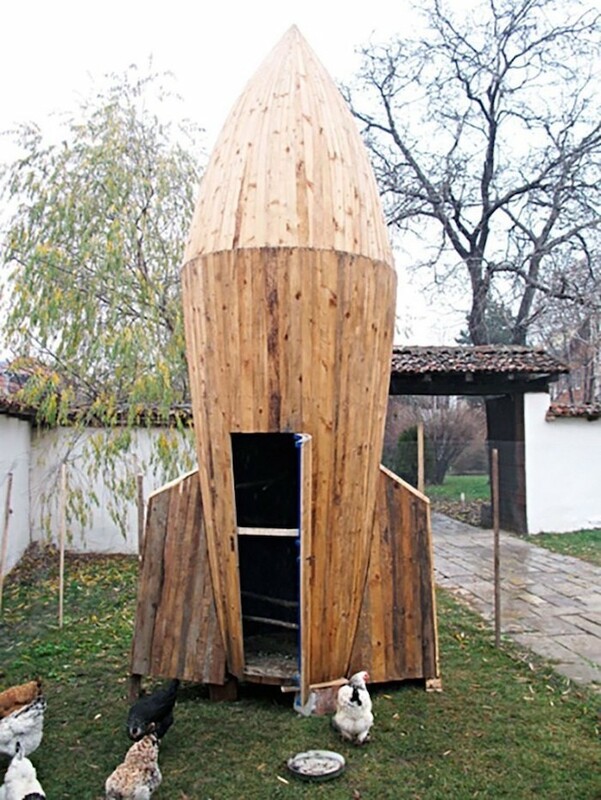 If you need an idea to decorate your chicken coop, this idea is really over the top. Not only they are really adorable to see them going back and forth in their saloon place but it also boosts your mood up! 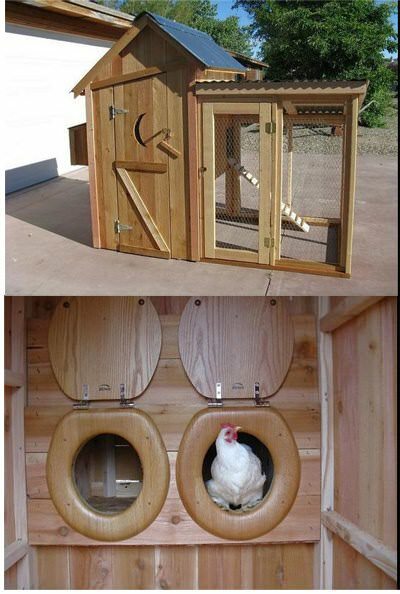 It may sound weird to recycle your toilet seat for your chicken coop. However, this is a brilliant idea to make it looks interesting. 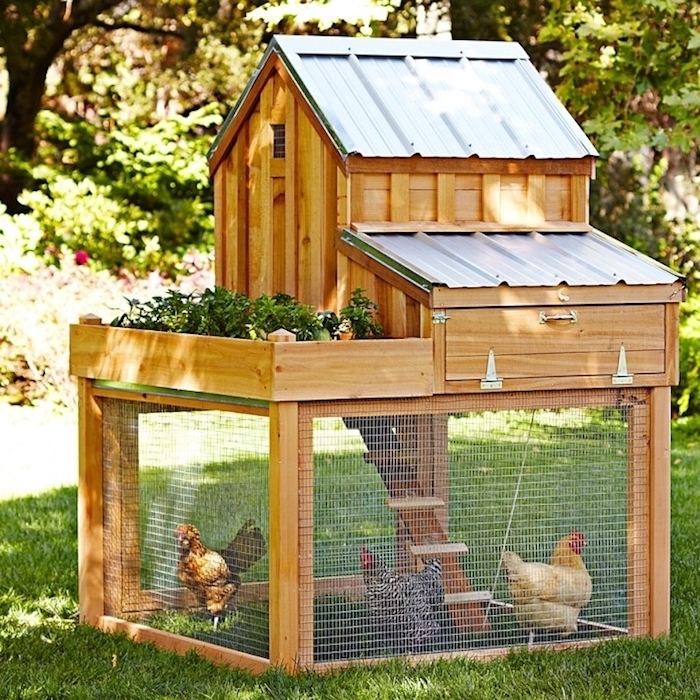 Use them as the place for your chicken to incubate their eggs. 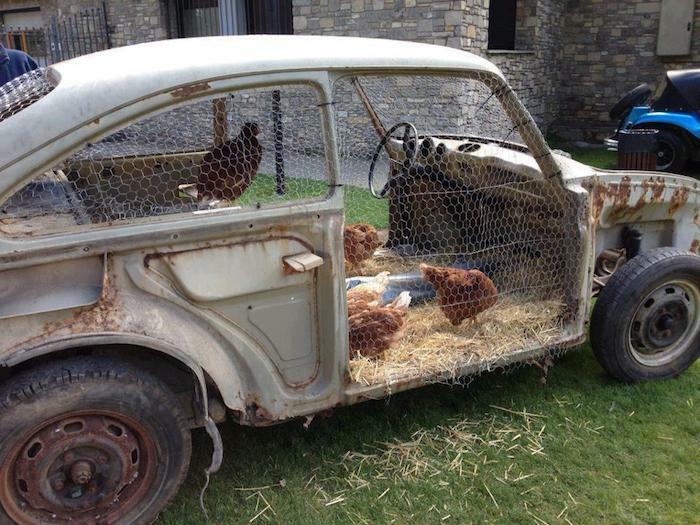 Another crazy idea for your chicken coop is to recycle the used broken car! 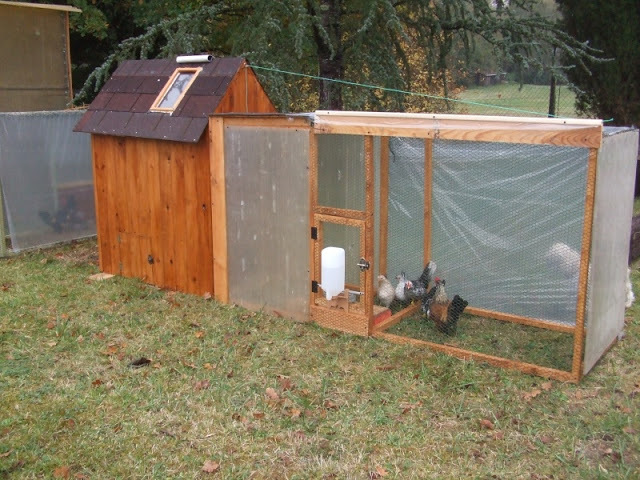 Turn them into a chicken coop by covering the gap with chicken wire. It looks like your chicken wants to go somewhere by car! 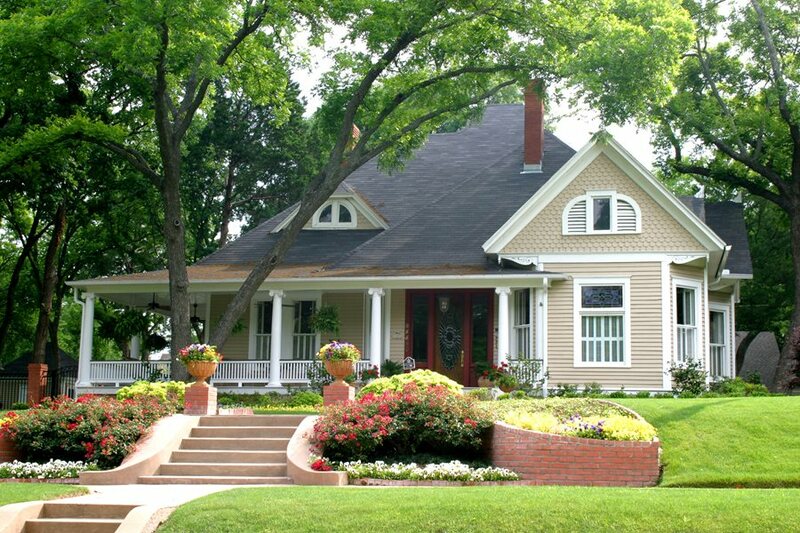 Lights are not only used to decorate the inside of your house! 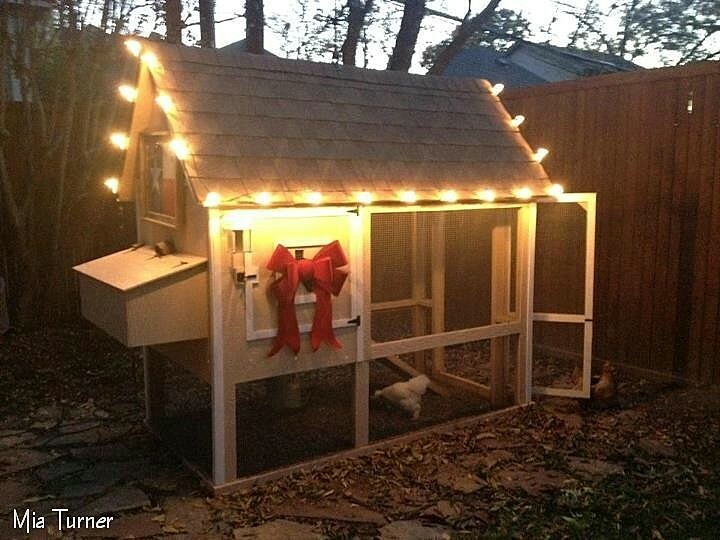 Lights are also working really well as the decoration for your chicken coop. 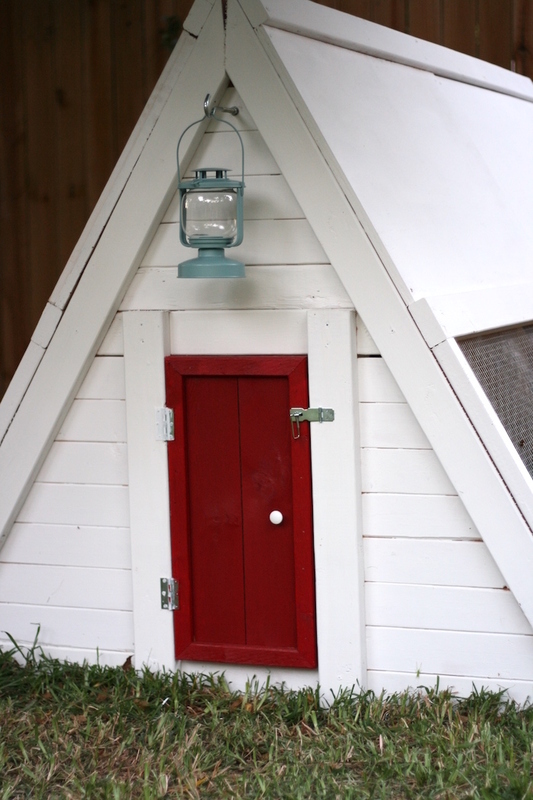 Use outdoor lighting to decorate your lovely chicken coop. It looks so adorable! 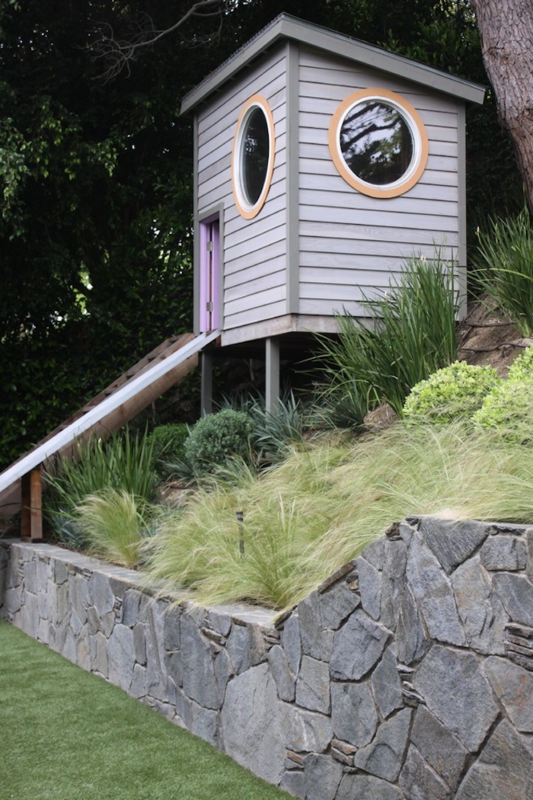 If you have children are already grown up and you also have their unused playhouse? 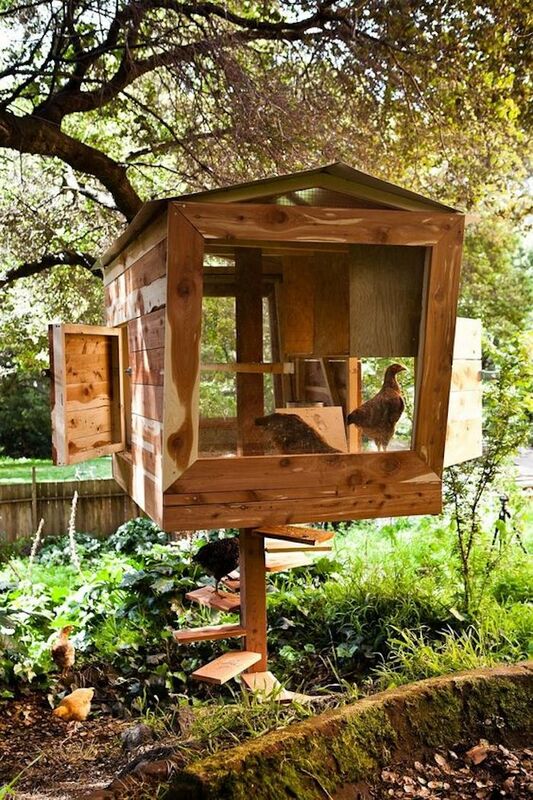 Well, why not just use them as your chicken coop! 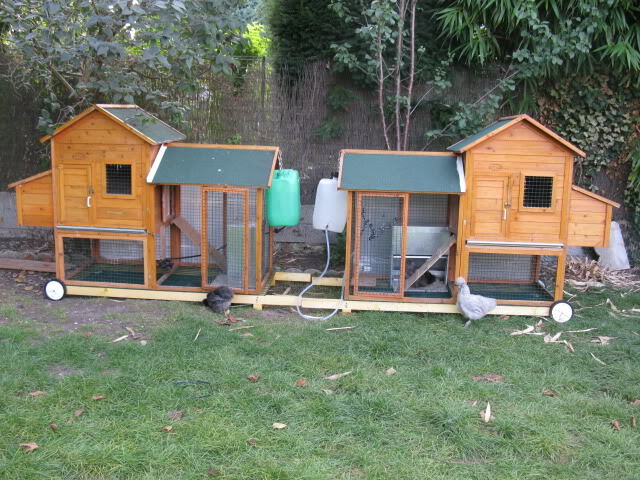 The playhouse like this is very suitable for your chicken also you do not need to build extra hard work for it as well. 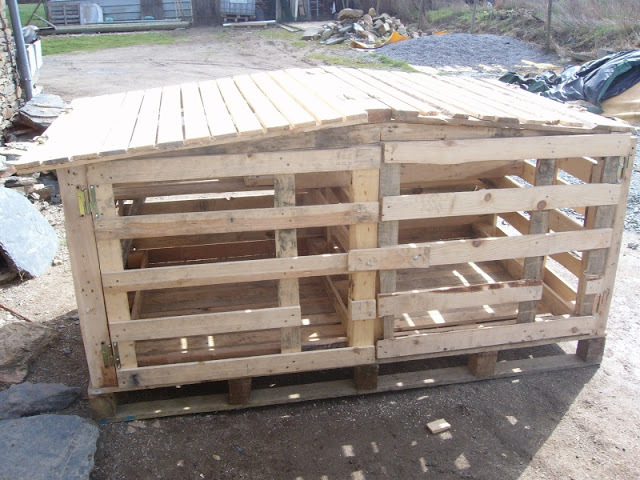 All you need to do is to have wood pallets under it to protect your chicken.